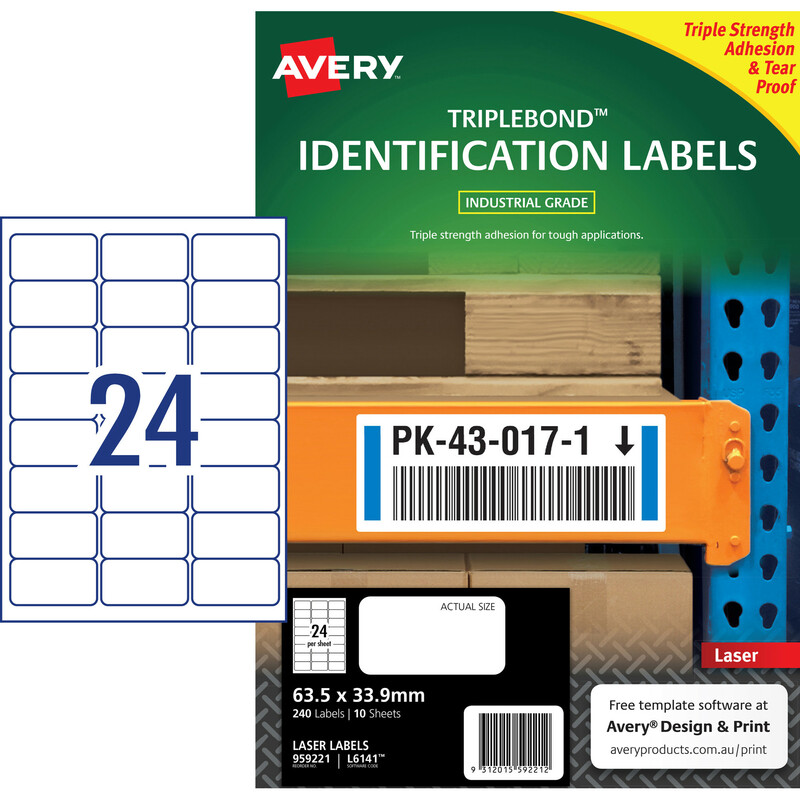 Tough labels engineered for permanent identification. Durable labels which are oil and dirt resistant, water resistant and tear-proof. Unaffected by temperature variations -40°C to +100°C. Applications: ideal for outdoor applications. For permanent identification for warehouse pallets, racking, machinery and equipment. Identifying outdoor scaffolding, pallet racking, drums, containers, storage cabinets, portable floor stands and barriers. Customisable using Avery design & print online templates.